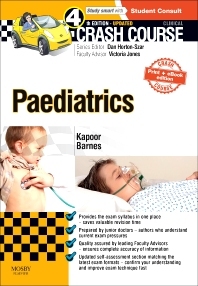 "This fourth edition of crash course in paediatrics is now fuly revised and updated with the current guidelines for best practice, and recent developments in medical research and pharmacology...Who will find this book useful? The primary readership should be students in their medical undergraduate years, but will also prove invaluable for foundation trainees or any paediatric speciality doctors. But I believe that the beauty of this book is not only the facts, but also the way how authors present in a user friendly outline. It may by much more important for us, senior doctors in all paediatric specialities, and we should learn this way of gret organization to guide and teach our junior doctors." I would be surprised if a student who was able to apply the information in this book flexibly failed a UK paediatric examination. It therefore provides a sound knowledge base for the subject.